The UK's biggest photography exhibition returns, showcasing 100 portraits on digital screens across Britain. 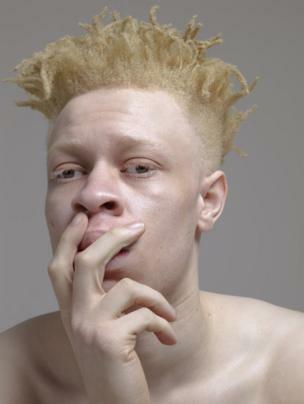 As part of her series called Pigment, Andrea Zvadova highlights the natural beauty of people such as Leo from London. 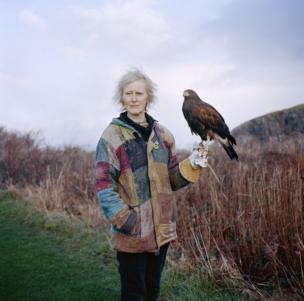 Ruth Barratt lives on Easdale Island, one of the Slate islands off the west coast of Scotland. Situated in the Firth of Lorn, it is the smallest permanently inhabited island of the Inner Hebrides with a population of around 60 people, and a handful of hawks. Gwyn Haslock stands on the beach at Praa Sands, Cornwall. 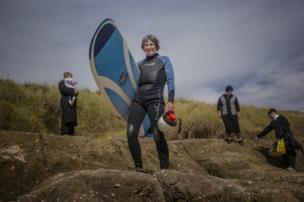 Aged 71, she has surfed almost every day for the past 40 years. Photographer Sarah Lee has said that the Orthodox Jewish family simply appeared behind Haslock as she stood on the rocks. "They moved about her for a few moments entirely absorbed in their own family, unaware of us and then moved on. It was a wonderfully incongruous, and very British, moment." 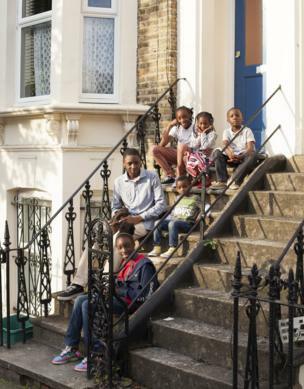 Jorn Tomter photographed this group of siblings outside their home in Clapton waiting for their mum to come home. 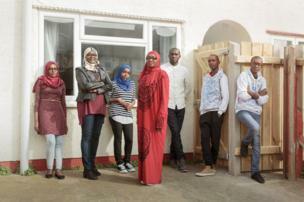 The portrait is part of an ongoing documentation of the residents of this area of north-east London. Rick Pushinsky's picture shows a refugee family from Darfur who have been offered the chance to resettle in the UK as part of the government's Gateway programme, which aims to house those who cannot return to their country of origin. 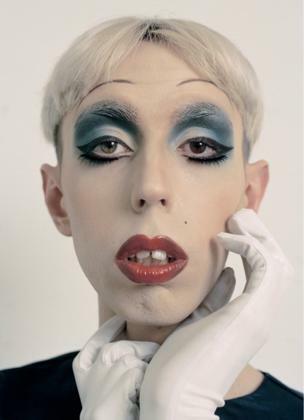 This portrait of Roland Bray, a 24-year-old drag queen from Truro in Cornwall, was taken by Thea Geldi. The image is part of a series inspired by the political climate during the election of Donald Trump in the USA. Sian Davey's daughter Alice sits on the sofa while recovering from a virus. 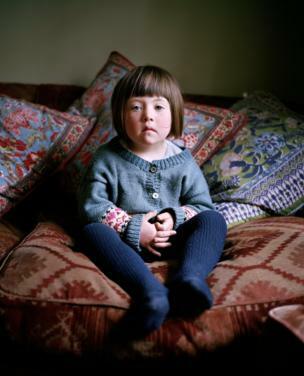 Alice was born with Down's syndrome, and Davey portrays the normality of their everyday family life in her intimate photographs. 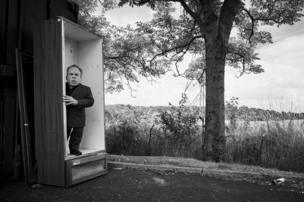 Charlie Gray photographed the actor Warwick Davis behind the Holiday Inn hotel in Birmingham for The Hollywood Reporter. Andy Lo Po took this shot of Mickaella from the Candoco Dance Company, which is a group of disabled and non-disabled dancers who push boundaries to change the perceptions of dance. 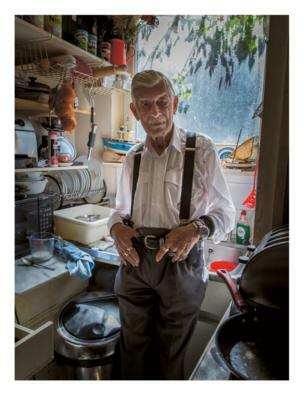 John stands in the kitchen of his house in Cressingham Gardens Estate, London. Mark Atiken's image is from his series called Sanctum Ephemeral, about life on a housing estate undergoing regeneration.